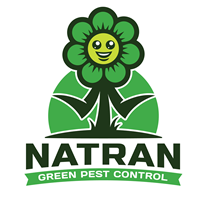 Natran is committed to providing the best Green Pest Control Experience possible. The objective of our business is to provide the highest quality pest control while using green products. We want to educate you about responsible pest control, not just spray your house with chemicals. Prompt courteous service - and no critters after the first check. Thank you Natran!!! Great Service. He was very kind and explained everything in detail. Very happy. I first contacted Natran when I became aware of an infestation of carpenter ants. They traced the nest to the attic, and completely eliminated the problem. Two years later, still no ants, and the regular treatments they do bimonthly on the exterior have kept the house virtually insect-free. The staff is very friendly, and the technicians are very professional. Casey is my go-to guy! Prompt service and very courteous. We are very happy with your service . I am very pleased with the service I contracted for with Natran Green Pest Control. The technician was very knowledgeable, punctual, and solved my problem with a squirrel in my attic. All prospective entrances were sealed all around my three story townhome and the pest is gone; for good and I am verrrry relieved! Victor did a great job was very professional and pleasant to work with. Most courteous employees ever! Both on site crew and office employees are polite, thorough, and efficient. Mosquito fogging product is effective. I like that I get regular reports to tell me where trouble spots may be in my yard (I.e. overgrown foliage that may be a pest breeding ground). Would recommend to others (and have!). The service provider was friendly and on time. I have had many pest control services before and none have met the service and kindness as Natran offered. I have only had one outside natural flea treatment and I have noticed a significant reduction in fleas on my pets. They are almost completely free of fleas now and it is such a relief! I will continue having a monthly outdoor treatment. Their customer service has been good and they respond immediately in scheduling appointments and taking calls. No insects or pests since beginning to use Natran. Service very efficient and thorough. They do a great job of following up with your particular concerns. They have responded to mine in a timely and courteous manner. Service was given as it was explained. My flea problem was resolved. Thanks FrankG. Always great communication and service! I'm very pleased with Natran. I love the non-chemical smell of their products. I seldom see a bug in the house, and mosquitoes only get bad when it's close to the time for treatment. We love Natran! They are very thorough and always nice! I can always tell when we need a visit from them and then after they come the bugs are gone! They make it so easy too with the pre-scheduled visits! Professional and pleasant technician. Confident my pest problems will be eradicated. Great 1st time experience. Casey was professional, courteous, & knowledgeable. Highly recommend! Hello, even though I have not been there when Robert has been to the house I am pleased with the service. Thx and good day. The staff at Natran were very professional and worked with me to adjust my visits when I had something come up. Casey was knowledgeable and very helpful when addressing the issues I was having at the property. I am new to the Houston area so his understanding of the local pests/rodents was really valuable. I look forward to having him as my regular technician. Easy business to work with. Thank you. Noe was courteous and professional. Service is great!I have been using it for a couple of years. Wonderful for people who are looking for green options of pest control that actually works. I just started service but so far happy with them. Great service, very accommodating, no chemical smell! From start to finish everyone did an excellent job - arrived on time, did all the right things and were pleasant and easy to work with. I can only recommend Natran. They were able to schedule very quickly, the Technician was really nice and helpful, listened to all my requests and complied accordingly. The issues have been - as far as I can tell, given the treatment was just recently - resolved. I can only recommend this company. Pleased with the service and the result! Friendly and knowledgeable! Grateful to have a green and safe option for our family and home! This company made me feel so much better about my bug problem. They showed up when they said they would. They were very knowledgeable and professional. Jeremy was the BEST. I felt like he wanted to solve my problem as much as I did!! The customer service was responsive and thorough, both on the phone and in person. The results have been excellent. So happy to find a green pest control service. Professional service. Explained what needed to be done. So far, there are no problems. Would recommend their service . Good job. Great and friendly service. Never pushy. Always on time. fair price. I have been using their services for 5 years now and I love it.